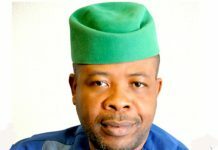 Angry over the serial lack of accountability and transparency especially in the conduct of government businesses, during the almost 7 years of Rochas Okorocha’s administration, concerned Imolites, have voiced their total disenchantment and disillusionment against the state of Imo economy and polity. According to erstwhile governor Ikedi Ohakim, Governor Owelle Rochas Okorocha has so far received a minimum of N1.3 Trillion as statutory allocation due the state government and the 27 LGAs. 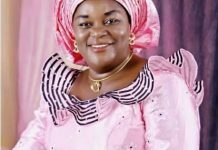 The N1.3 Trillions does not include all the Internally Generated Revenues (IGR) which Governor Okorocha hardly accounts for or keeps records of, having appointed, Henrietta Jacobs to oversee the sector just as another lady Chinyere Uwandu oversees pension funds. Previously, and during the administration of Chief Ikedi Ohakim, Imo state was recorded as generating, as much as N1.5 billion monthly or little less. However, the Internally Generated Revenue (IGR) has since nose- dived drastically under Rochas Okorocha, to an average of N500 million in a month leaving many concerned Imolites astonished, wondering what happened to all the several revenues collected from okada, keke, commercial buses operators, ITC, the numerous hospitality industries, eateries, restaurants and the about N5000 deducted from the monthly salary of each civil servants in Imo state including private companies and manufacturing plants, banks and private schools, Concord Hotels. Going by the several bulk monies including the N26.7 billion which Governor Okorocha inherited from Governor Ohakim, the N26.8 billion Imo bailout fund given to Okorocha to clear all outstanding arrears of workers salaries or wages in December 2015, and about N25 billion Paris Club Debt Relief Refunds, there is practically nothing on ground to show for the huge revenue under Owelle Rochas Okorocha’s care. Ohakim during a radio programme with Hot FM yesterday said, no other government was this lucky to receive spontaneously such bulk sum of money before now. 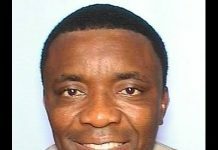 A former commissioner who doesn’t want his name in print also said, “it was therefore expected that with N1.3 Trillion, Owelle Rochas Okorocha ought to have commissioned turkey industries, rehabilitated Adapalm, Avuvu Poutry, Owerri Ebeiri Packaging, built massive edifices as schools, markets, hospitals, and International Conference Centres. Instead, what we hear is free education and demolition of market squares without actually executing any single market project to his credit”. 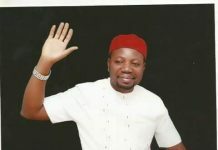 Speaking on a radio programme recently, ex-Governor Chief Ikedi Ohakim who said he handed over as much as N26.7 billion to Rochas Okorocha which bulk amount no other incoming governor in the entire South East has ever received, sadly said that whereas he received a little over N200 billion in four years, and did marvelously without Okorocha has in received over N1.3 Trillion within just six years, but regrettably cannot account for this amount or point to any edifice as what he did with the money. The revelation has since rattled Imolites who now wish to know what Owelle Rochas Okorocha has actually done with this huge sum of money. It is also the belief in several quarters in Imo state that the alleged gross misappropriation and looting of this huge sum of money is probably the reason the Governor is desperately doing everything humanly possible to foist his son-inlaw on Imo electorate. As observed by some Imolites, “it is now obvious that the reason for non-adherence to due process, and lack of accountability and transparency orchestrated and demonstrated by Okorocha, which are essential ingredients under any democracy, is deliberate and aimed at advancing the selfish, parochial, personal and family interest of Okorocha”. For instance, he continued, Governor Rochas Okorocha’s younger brother, Okey Okorocha was recently arrested and detained in police cell Abuja for purchasing an expensive car at an asking price of N18 million and a power bike at N3 million. 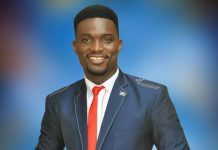 Though he took delivery, he however reneged in his promise to pay the last installment of the total sum of money or defray the cost of the two vehicles. After all entreaties and persuasions had fallen on deaf ears, the seller had no option than to invite the police, Okechukwu Okorocha’s act of perfidy and total display of opulence is just an eye opener to the numerous flamboyant lifestyles and primitive wealth accumulation of the Okorocha’s. 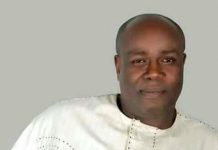 It took the intervention of Uche Nwosu, in his capacity as the Chief of Staff and son-inlaw of Governor Okorocha before Okey Okorocha was let go. That was just a tip of the iceberg of the numerous acts of profligacy and spendthrift associated with the Okorocha. Of all the development projects scattered all over the places including uncompleted shopping malls, housing estate at former Alvan quarters, 27 proposed general hospitals, there is no single record to show or indicate that they are public institutions or investments. This is because Rochas Okorocha has the temerity to donate without consultation or dispense with such projects to his friends and companies or even demolish them without notice even if doing so negates the rule of law.